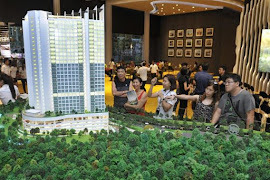 Visitors looking at a scale model of the Eco Terraces development in Paya Terubong at its EcoFestival 2016 in Penang. 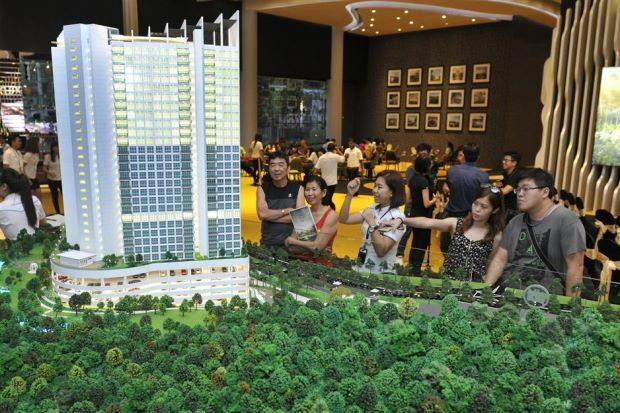 Kerjaya Prospek Group Bhd has clinched a RM146.7mil contract for the main building works for Eco World Development Group Bhd’s 34-storey condominium project in Penang, Eco Terraces. In a filing with Bursa Malaysia on Monday, the construction contractor said its unit Kerjaya Prospek (M) Sdn Bhd (KPSB) had accepted a letter of award from Eco World’s subsidiary Eco Terraces Development Sdn Bhd on the 333-unit block in Paya Terubong. It said the construction works would begin on Sept 19 and the project was due to be completed by Feb 18, 2019. In a press statement, Kerjaya executive chairman Datuk Tee Eng Ho said this latest contract had raised the value of its year-to-date contract wins to RM1.58bil, surpassing its internal order book replenishment target. “This is a fantastic achievement and I would like to thank the team for working tirelessly and Eco World for their confidence in our abilities as a specialist in premium high rise projects,” he said. Kerjaya Prospek said the contract would have no effect on the issued and paid-up capital of the company, but it was expected to contribute positively to the group’s earnings and net assets per share for the financial years ending Dec 31, 2016 to 2019.